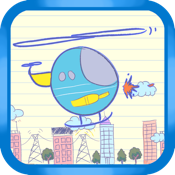 Get ready for the coolest doodle helicopter game you've every played! In this thrilling combat game, your up against not only an army of helicopters, UFOs, and fighter jets, but also super heroes! Do you have what it takes to win the war?